(2012.201.B0141.0395, Oklahoma Publishing Company Photography Collection, OHS). Born on March 28, 1958, and raised in the Chicago suburb of Morton Grove, Illinois, Bart Conner discovered gymnastics in his school's physical education class. At age ten he enrolled in a local YMCA program, and at fourteen he won the 1972 U.S. Junior National Championships (AAU). At age seventeen Conner became the youngest gymnast ever to win the U.S. Gymnastics Federation All-Around championship. In 1976 he was the youngest member of the U.S. Olympic team, his first of three Olympic berths. He captured two world titles in 1979, winning the pommel horse at the World Cup and the parallel bars at the World Championships, both firsts for a U.S. gymnast. In 1980 he won the U.S. Olympic Trials but tore a bicep and required immediate surgery, which normally would have kept him out of the Olympics. However, the United States' boycott of the Moscow Olympics kept all the American athletes from competing. In 1984 Conner battled back from a second injury to win two gold medals at the Los Angeles Olympics (team and parallel bars). The team's fame was secured when they upset the defending world champion Chinese team. Following his amateur career Conner went into business with his former college coach, Paul Ziert. Under Paul Ziert and Associates, Conner co-owns a flourishing gymnastics school in Norman (Bart Conner Gymnastic Academy), International GYMNAST magazine, and interest in several other gymnastics ventures. He has appeared in films and TV shows, worked as a motivational speaker. He served as a television color commentator for gymnastics competitions, with an exclusive contract with ABC's Wide World of Sports, and was instrumental in the relocation of the International Gymnastics Hall of Fame to Oklahoma City. 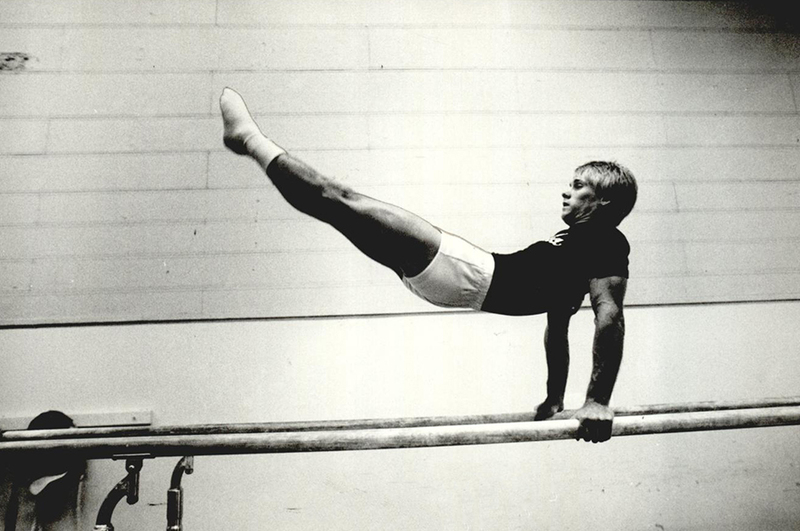 Bart Conner is America's most decorated male gymnast and was the first American to win medals at every level of national and international competition. Through the 1970s and early 1980s he dominated the gymnastics scene by winning a number of national titles as well as becoming an All-American while competing for the University of Oklahoma. His honors also include induction into the USOC Olympic Hall of Fame (1991), the USA Gymnastics Hall of Fame (1996), Oklahoma Sports Hall of Fame (1997), and the International Gymnastics Hall of Fame (1997). In April 1996 he married Nadia Comaneci, a former Romanian gold-medal–winning gymnast, in a Romanian state wedding. In 2001 they resided reside in Norman, Oklahoma, but also maintained residences in California and Romania. Bart Conner and Paul Ziert, Bart Conner: Winning the Gold (New York: Warner Books, 1985). "Bart Conner," Vertical File, Archives, Oklahoma Sports Hall of Fame, Oklahoma City. Kay Straughn, "Conner, Bart," The Encyclopedia of Oklahoma History and Culture, https://www.okhistory.org/publications/enc/entry.php?entry=CO044.